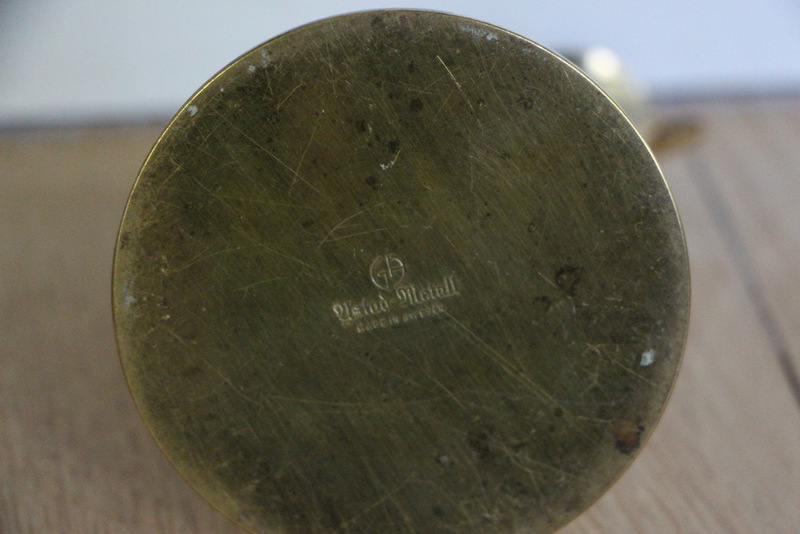 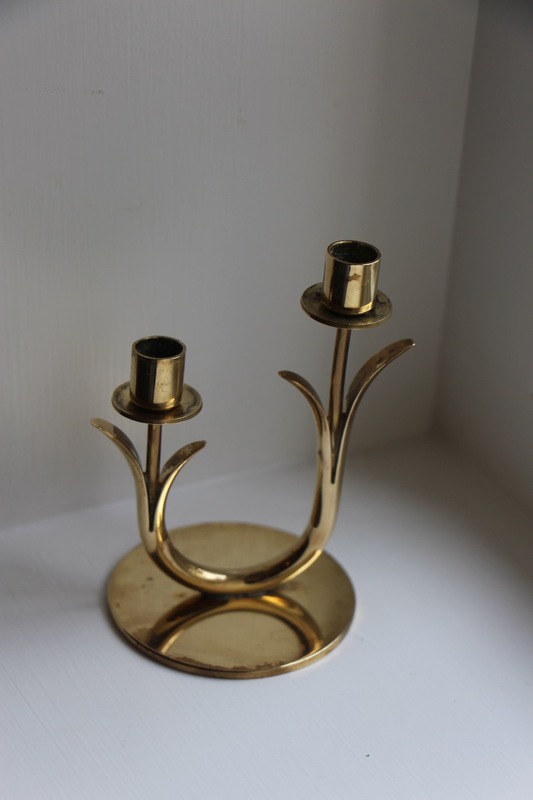 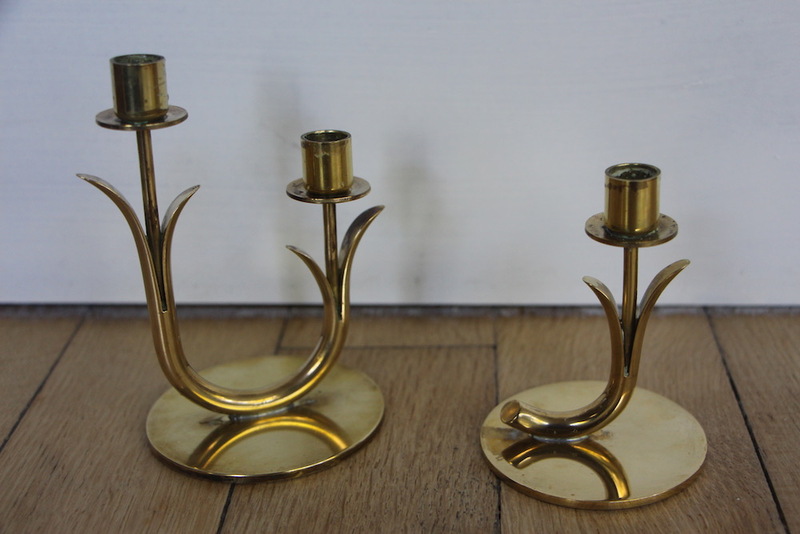 2 pairs of great candleholders by Swedish designer Gunnar Ander(1908-1976) for Ystad Metall (logo and initials on last pic). 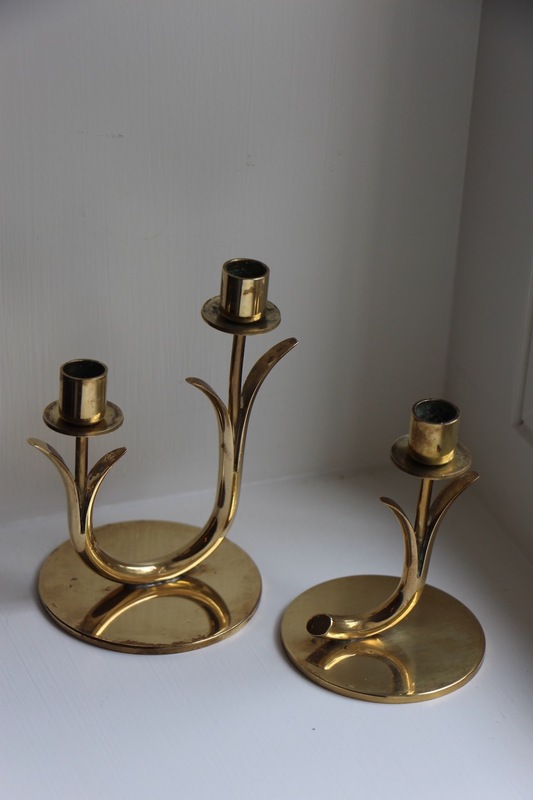 If you are looking for something to decorate your dining table, something different and extremely charming and refined, then this is what you need. 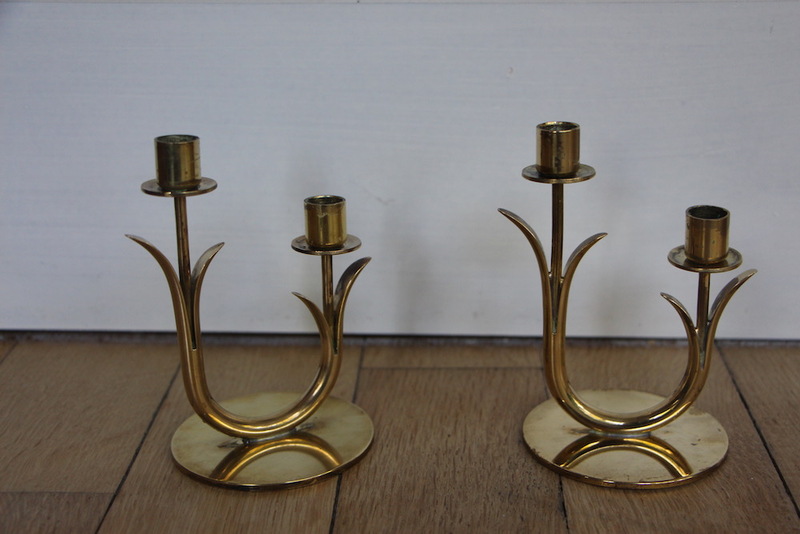 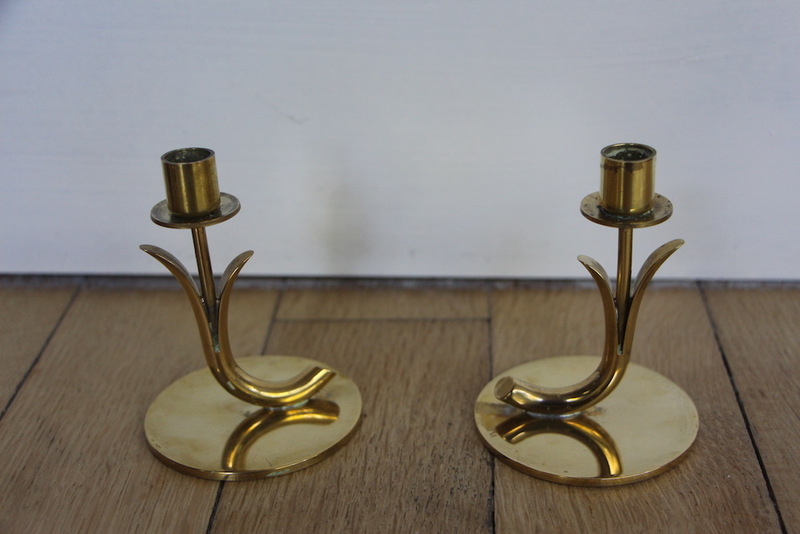 One pair has 1 candleholder, he other pair has 2. 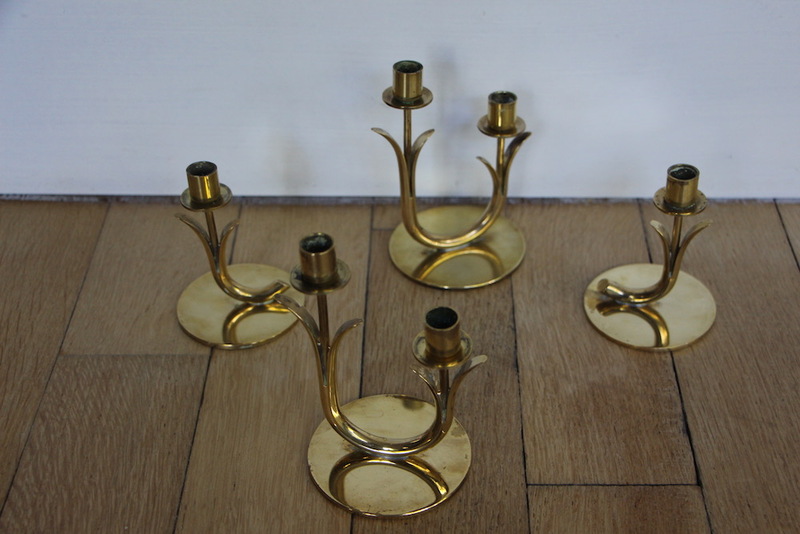 The pictures might give the impression that the candelsticks are full of stains, this is due to reflexion and also the fact that I'm not the best photographer, but doing my best ;-) They're in a very good condition.